Commercial Solar Power – Is It Right For Your Business? The rate of residential solar power acceptance is constantly rising. Even businesses can take advantage of the potential of commercial solar power and save a lot. Basically, business owners perceive the up-front cost as an opportunity to go green, but ignore gaining knowledge about its operational and financial benefits. 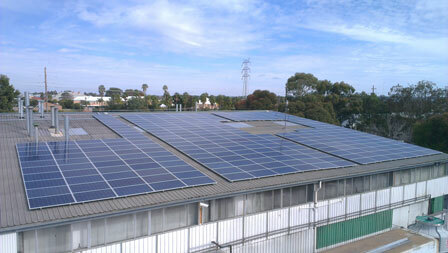 Below are the top reasons to adopt commercial solar power for your business. Is Commercial Solar Power Right for your Business? Incentives – State and federal government provides financial incentives to help people invest in installing solar power easily. Federal tax credit allows businesses 30% on investment of solar system. Each state’s local utility provides its personal rebate system. This decreases the overall cost of solar panels installation. Remember if the size of your solar power system increases, the rebate amount will also rise, simultaneously. Some states allow net metering, which means you pay for the net electricity used. The excess electricity generated by the personal solar station is banked with the grid system and 100% credit is received. For other improvements, businesses have to pay extra property tax but solar power system installation is tax free, even though their property value increases. Accelerated depreciation – Businesses can adopt accelerated depreciation of five years on overall system cost under MARCS. It means you can gain good cash flow for the next 25 to 30 years and the total system installation value will be pulled out from your gross income for five years resulting in low tax liability. Lease options – Many states allow businesses, who do not want to incur the huge upfront cost for solar power system installation to rent solar panels for 15 to 20 years. However, they do not gain benefits from state or federal governments financial incentives, but receive cheaper and stable power because they need to pay a fix rate for power usage from solar power system. Power purchase agreement – Under PPA model, the solar power system installation on your building is funded by the solar provider. They even maintain and monitor the generation of energy. The solar provider sells the electricity to building owner at fixed contractual rates for specific duration. Thus with PPA, you get locked with fixed rate, which is 20% less than electricity attained from utility grid. Building operating cost shrinks – It does not matter, if you pay for the installation of the solar power system or lease it, but the operating expenses will significantly decrease. If the savings are passed to tenants then the occupancy rate will be 100%, so profit margins will be strong. Avoid rising utility prices – Seasonal swings in utility rates can be avoided by generating personal cheap electricity. Thus they can categorize their power usage cost as a fixed expense. Low maintenance – Virtually, there is hardly any maintenance involved. Majority of the building’s roof structure can be accessed easily. Solar panels have protective glass surface that protect the panels. Very little collapse of solar panel performance is experienced. For interested commercial business owners, who are still not sure if solar panels installation is right for them can do a little more research over the internet. For those businesses looking for right solar installer can contact the Orange County Solar Services for their project.